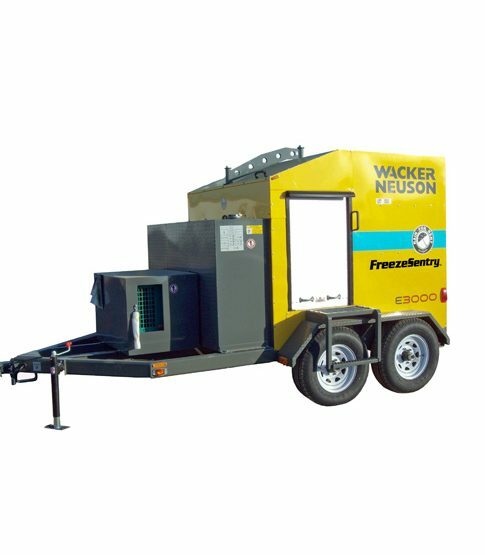 Footprint181" x 91" x 94"
The E3000 hydronic heater is engineered for reliable performance and trouble-free starts. Digital temperature controller with push button adjustment allows operators to easily adjust Heat Transfer Fluid (HTF) output temperature for all concrete curing applications. 3,000 ft of hose for flexible, uncomplicated set up and operation for all applications. The E-3000 is easy to operate and dependable. It provides maximum flow and ensures consistent heat delivery for freeze protection, thawing, & curing applications.